The police can be seen in the Southampton Rangers area this evening [Oct 16] responding to some form of an incident. Confirmed details are limited at this time, however we will update as able. 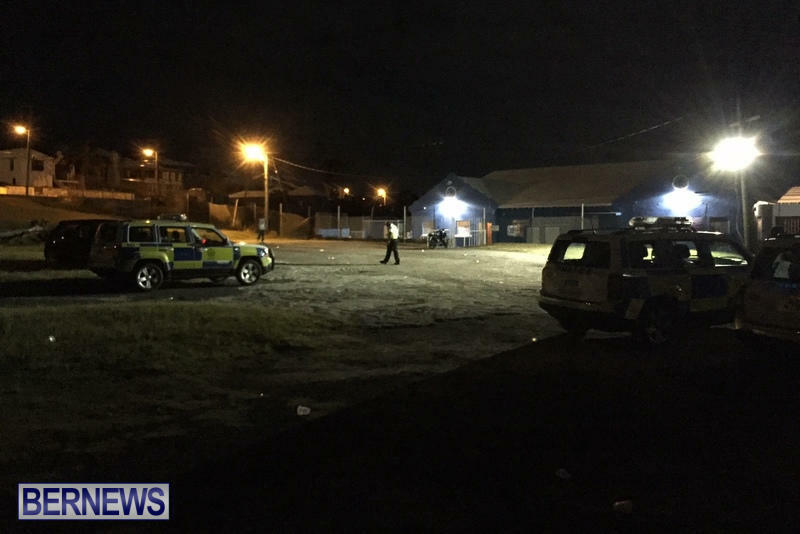 Update 11.29pm: Police Media Manager Dwayne Caines said, “Police responded to a report of disturbance that took place at the Rangers Community Club in Southampton. “Details are sketchy at this time, however it appears that an altercation took place on the outside of the club which resulted in a man being taken to the hospital. At this time it is unclear how his injuries were sustained. When asked about unofficial suggestions a firearm may have been used, Mr Caines said, “At this early stage it is unclear if a firearm was used,” and said he will provide more details as able. Update 11.46pm: The police appear searching the area now, and the Fire Service arrived to bring lights. Update 11.50pm: Mr Caines provided further information, saying the altercation actually resulted in two men being taken to the hospital. Update 12.03am: Mr Caines confirmed the police responded at 10.30pm, and said the “altercation took place between two groups of males” and started inside the club and spilled outside. “At present we have a team of officers that are forensically examining the scene to actually identify if a gunshot was discharged in the area,” Mr Caines added. 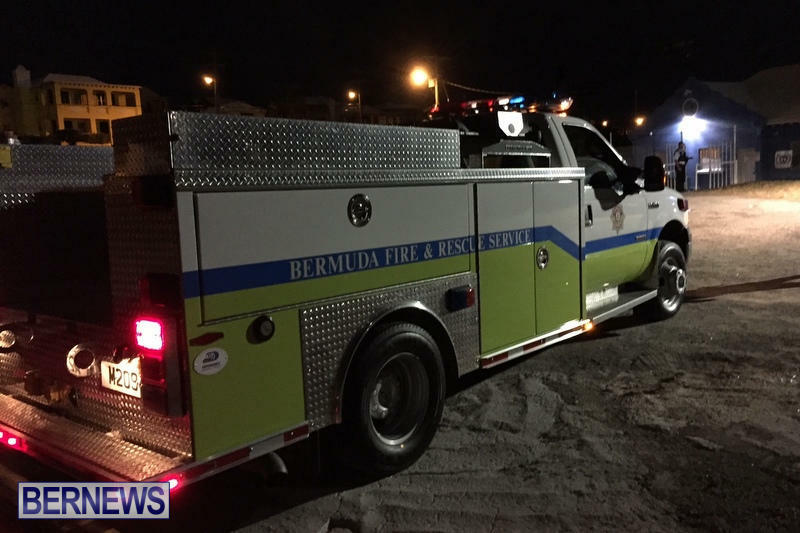 Update 12.16am: Mr Caines added the second male received a laceration to the neck, and and is in “serious condition” in the hospital. Update Monday, 8.30am: At last check, there is still no formal confirmation of a gun being fired. While neither of the injured men sustained gunshot wounds, there are numerous unofficial suggestions from those present and area residents that two gunshots were heard, however the police do not generally confirm gunshots until/unless they find clear forensic evidence of it. Update 2.13pm: Two men — aged 32 and 28 — have been left in critical condition in the ICU following the incident outside the Southampton Rangers Club and a 29-year-old man has been arrested for affray, the police said today. Either force them to beef up security & to screen their clients better or just pull their liquor licence already. Same for any other establishment with such a high records of violence & anti-social activity. In short, get serious or get out of business. Enough is enough. When they lose their license all its gonna do is move the problem to the next location. that happened outside in the parking lot not in their establishment. It started inside THEIR club and spilled outside to THEIR parking lot and was probably fueled by THEIR booze. They MUST share some of the responsibility! Technically ‘the outside’ is still on ‘the grounds/property’(judging by the images capturing the Emergency Response Vehicles) of the afore-mentioned club!!! Boys will be boys. Fighting has existed before the development of societies and will continue for generations to come. Unfortunately the powers that be have allowed the importation of drugs and guns into the island and now what we have is something else. Boys being boys people – nothing to see here, just boys being boys. Problem solved. What’s the big deal? I officially don’t care any more. It’s just boys being boys. Carry on Bermuda. Sounds like locker room talk to me smh…boys will be boys lmfao! Somtin wrong with the people up Rangers! nothing wrong with us you silly UK person!!!!!!! It’s the outsiders that frequently come up here and start trouble!!!!! So STFU !!! That’s why you moved your undesirable backside to the UK.